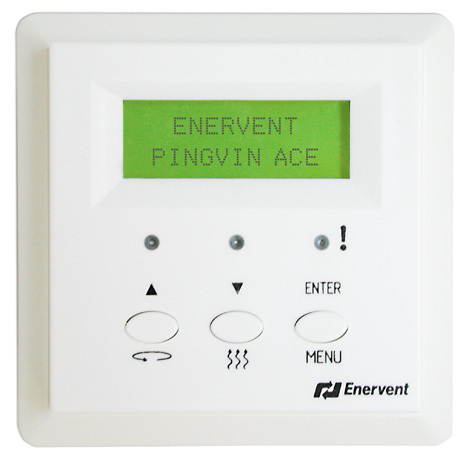 Enervent developed its first digital control, the AC control, for its units in 2003. Ventilation units with AC control were manufactured 2003–2008. The electronics industry has developed tremendously in recent years. Rapid development has led to components becoming obsolete quickly. That is what happened to some of the electronic components in the AC control. The motherboard and control panel for the AC control can no longer be delivered because the manufacturing of certain components has been stopped. This means that if the motherboard or control panel breaks down on a unit with AC control, the entire unit must be replaced. There are fortunately also advantages of replacing a ventilation unit of at least ten years with a new one. Development has taken place also in the ventilation sector. Replacing the unit improves both energy efficiency and reliability as the new unit has DC motors, more functions and of course 0 hours behind it. Other spare parts such as components for the heat exchanger and fans are still available for units with AC control.